Let it not be said I do not enjoy a challenge! Even one that I quixotically pose upon myself that no one cares enough to hold me accountable for. 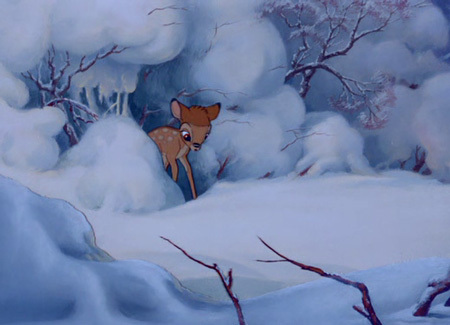 Today, I’ve chosen to find Winter/Holiday imagery from every theatrically released Disney movie. I wanted to do this since the inception of the site, although this year it became something of a necessity. Sadly, I’m sort of running low on “classic” Disney stuff to cover. So unless I want to start covering direct-to-DVD Xmas fare, I was going to have to make some concessions. 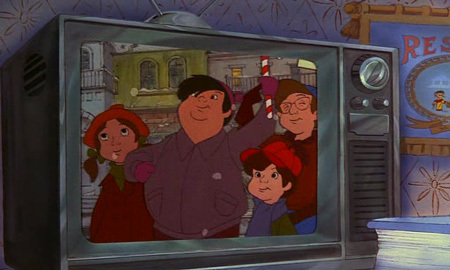 I decided to included instances of Winter – “Christmas Time” – because hey, animated snow will always have a place here. Let’s go! 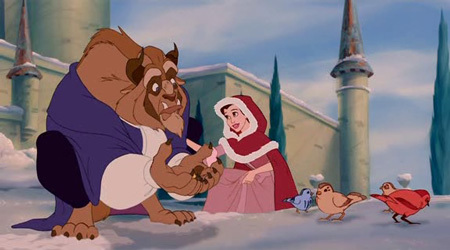 Disney’s third theatrically released movie was a ultra-ambitious doozy that nearly killed the company. 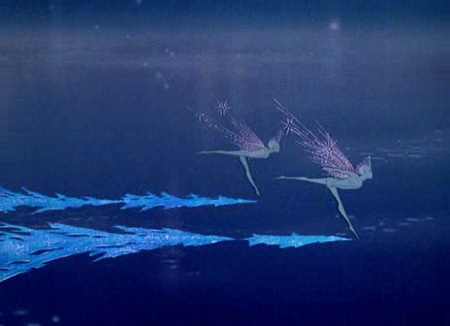 Luckily, Fantastia found an audience decades later so this imagery of the Sugar Plum Fairies skating during the “Nutcracker Suite” is recognized by millions today. 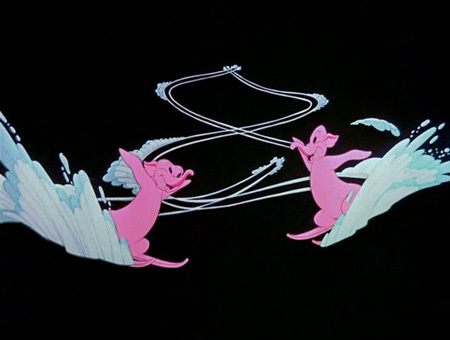 During the “Pink Elephants on Parade” sequence, better known as the scene where Dumbo and Timothy get hammered, the big-eared elephant hallucinates tiny pachyderms gallivanting through the snow and ice. 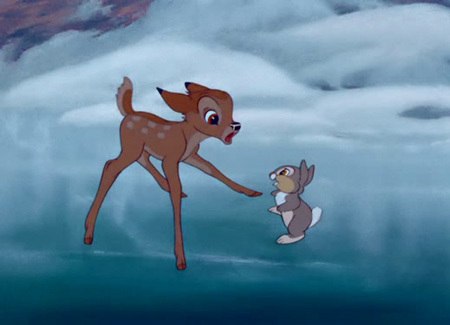 Instead of hibernating like good little mammals, Bambi and Thumber hit the ice in this famous sequence we wrote about previously in A Disney Christmas Gift. 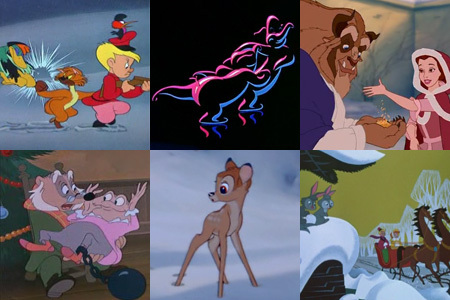 Jumping ahead in Disney movie history up to its eighth film, the company wasn’t doing so hot and was producing mostly compilation films. 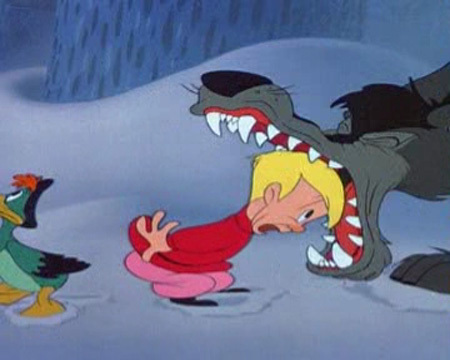 That ain’t all bad, without that format we wouldn’t have the unforgettable Peter and the Wolf sequence. 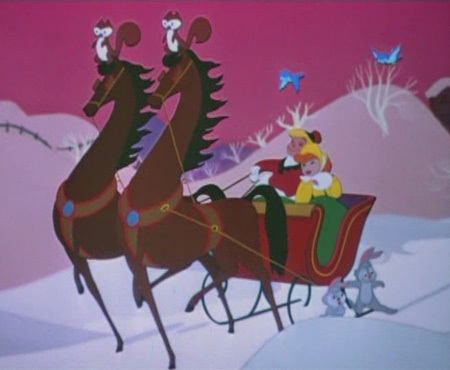 In the sing-songy tradition of the last film, Melody Time featured “Once Upon a Winter Time” which we previously covered briefly regarding another cost-cutting collection of Disney shorts. 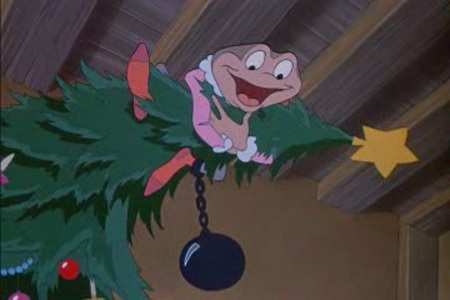 Opting for a film compiling two longer form shorts, the “Wind in the Willows” portion of Ichabod and Mr. Toad ends with a Christmas scene. 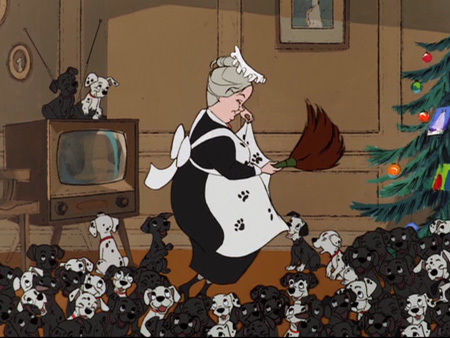 Jumping ahead to Disney’s 17th film, more than 100 dalmatians escape a tyrannical seamstress and return to the Radcliffes just in time for Christmas. 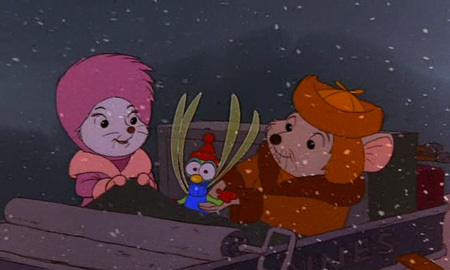 It might be a little difficult to tell, but Bernard and Bianca get Penny out of the swamp and adopted somewhere close to December 25th. 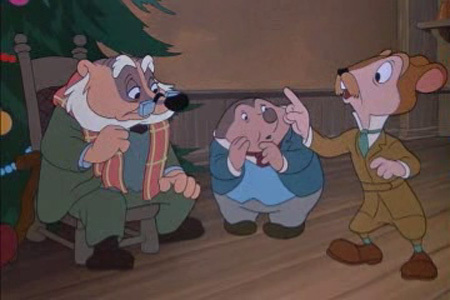 To further solidify The Rescuers place in Holiday history, Mickey’s Christmas Carol made its debut before a 1983 theatrical rerelease of the film. 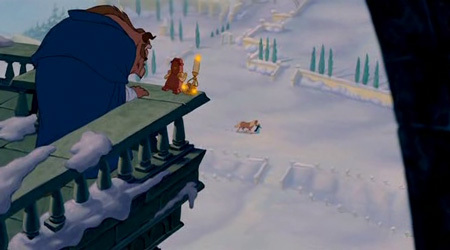 Although Christmas isn’t mentioned specifically, Beauty and the Beast pretty clearly takes place around the Holiday season, most notably during the “Something There” sequence. Hmmm… Do you think they had the foresight to know they’d eventually do this?! That’s all for now! I plan on updating this list because, yes, I already realize I missed a few. 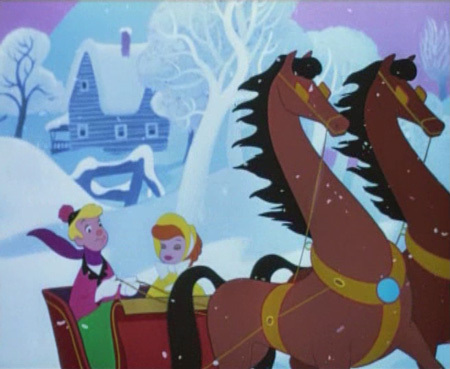 Snow, winter, or Christmas, let me know which Disney moment I missed in the comments below. Chris! You missed the Sword in the Stone! I mean.. no Christmas, but there’s certainly snow in the titular scene where he removes said sword. 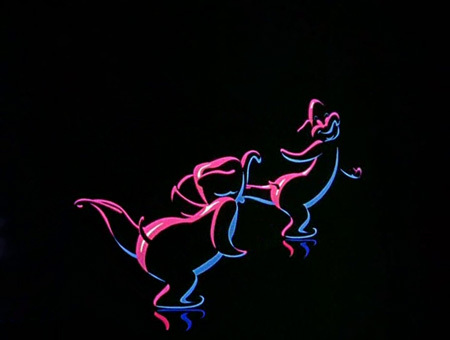 Man, I forgot about that scene in Dumbo. I’m going to have to go back and watch it again. 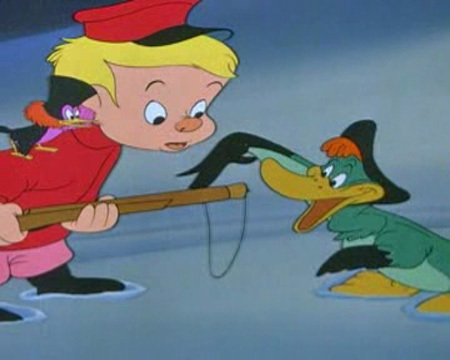 @chris Clearly, there’s no thinking that you’re a dummy in regards to Disney. You’re basically Disney’s Unauthorized Spokesperson. it’s alright you thought there was 31 days in November, you made an astounding recovery! 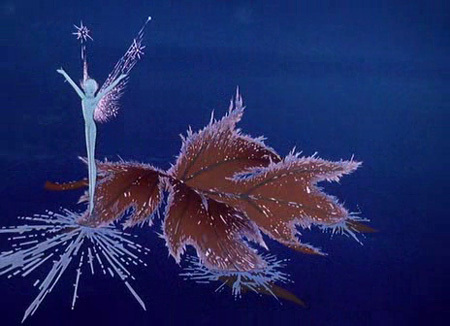 Thank you for reminding me that The Enchanted Christmas exists. Wasn’t the villain a pipe organ who actually enjoys being an animated inanimate object or something like that? 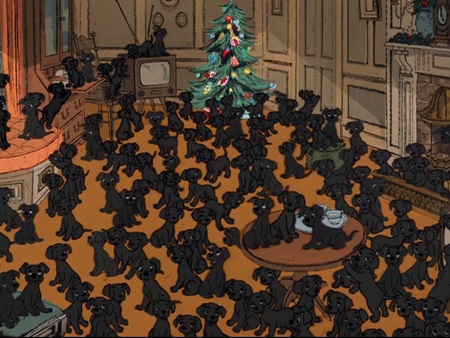 I love that Christmas scene in the 101 Dalmatians !! By the way, I love your site ! !